If you’re looking for the strength and dependability of a full-size Ram pickup truck, but don’t want to break the bank, then take the drive to your Lubbock area Ram dealer for a selection of used Rams under $10,000. Car and Driver praises this models “workhorse pedigree and capability,” and it’s no wonder why. 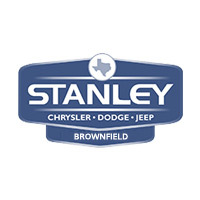 Get V8 power, 4WD, and much more from one of our Ram trucks, on sale now at Stanley CDJR Brownfield. Our dealership is located near Lubbock, and we’re open for sales Monday through Saturday. Set up a test drive by contacting us at (888) 311-1268 today!